The spinning seat video - in action. 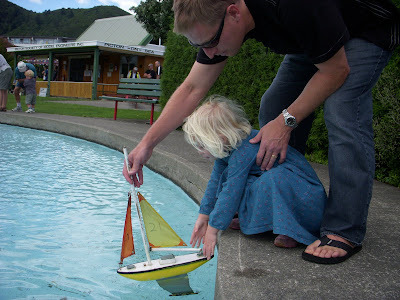 An elaboration on our trip to New Zealand lives on Ciao Bambino. I'm linking this post up with Photo Friday at Delicious Baby - go give them a whirl! Yet another reason New Zealand should remain near the top of our travel list! The more we travel with kids the more we appreciate the value of a good playground...makes such a difference if there are good play spaces for kids, plus it is a great way to meet local families. Nice to see such variety in the parks, too. Japan also has fabulous playgrounds. wow, that looks like fun and the variety of play areas is amazing! Thanks for sharing. Planning a trip to NZ soon. Have been there before but not since we had kids so this post (and your piece over on Ciao Bambino) have been really useful. Thanks. I know these playgrounds I've played on them -- while the kids were away. This is a good theme for a blog post. 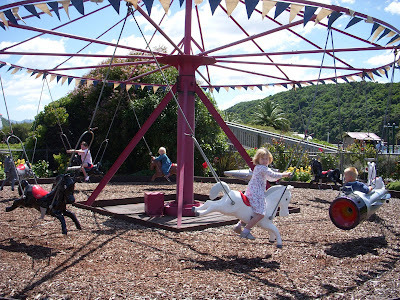 Was one of these playgrounds in the town of Picton? Yes Cate - Picton is where we picked up the ferry to Wellington on the North Island. The playground was just perfect to spend the afternoon before boarding. There was a nostalgic quality to it as well. I am dying to visit new Zealand! 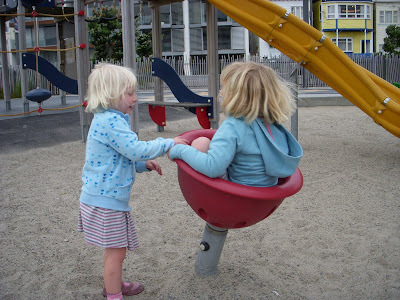 Looks like they have some great playgrounds which are always crucial for little ones. 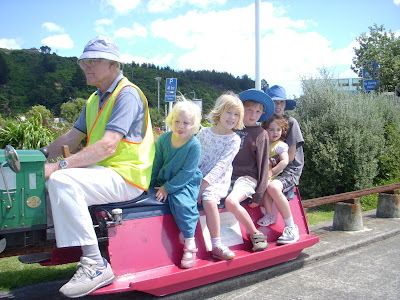 Ooh, we are going to New Zealand next year, so I'm sure we'll be trying some of these out! They look really cool. Our local playground in London has exactly the same spinning thing, it's the most popular thing in the whole playground, always has a queue! 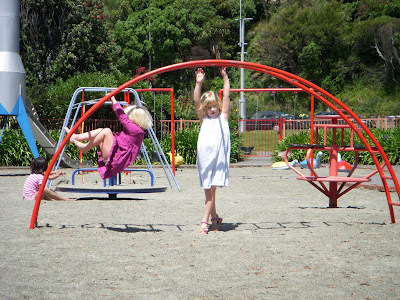 It never would have crossed my mind to visit a playground in New Zealand. I'd probably be too caught up with seeing NEW ZEALAND, hitting all the tourist spots and educational stops. But this is a good reminder to just take a break during vacation and let kids do what they do best -- play! Love that spinny video, though it made me dizzy just watching her! I'm still chuckling about the spinny video. I wouldn't have made it three spins around.